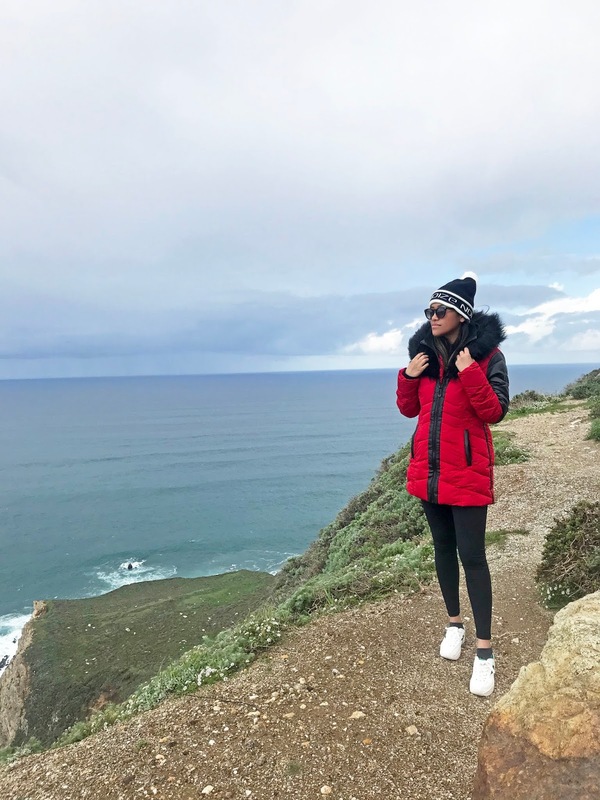 Last weekend my girl Lauren and I took a spontaneous trip up north for a much-needed adventure to a new city we've never visited, Carmel, California. 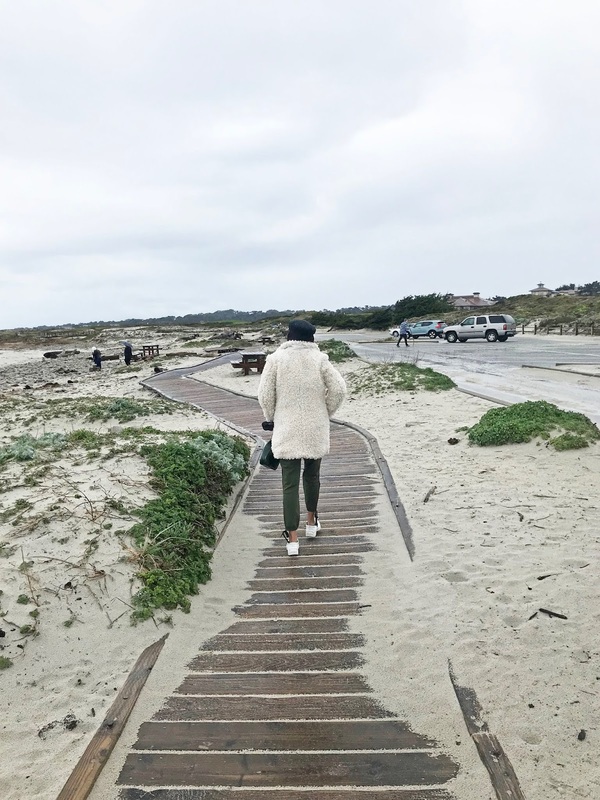 Carmel-by-the-Sea is about a 5-6 hour drive from LA; with neighboring cities such as Monterey and Big Sur, it's a definite city to check out. During our weekend getaway, we stayed in this European style boutique hotel called Hofsas House. Just by looking at their pictures and reading great reviews online, the place looked super cozy and cute - and needless to say, it was! We arrived late Friday evening and were ecstatic to be welcomed with a comforting and homey vibe as we entered our room. The room was a two-bedroom, two bath suite with a king and two beds - very spacious! We were also greeted with a nice bottle of red wine paired with cheese and crackers - which we couldn't help to devour before bed, hehe - then passed out to be ready for a long day of activities ahead. 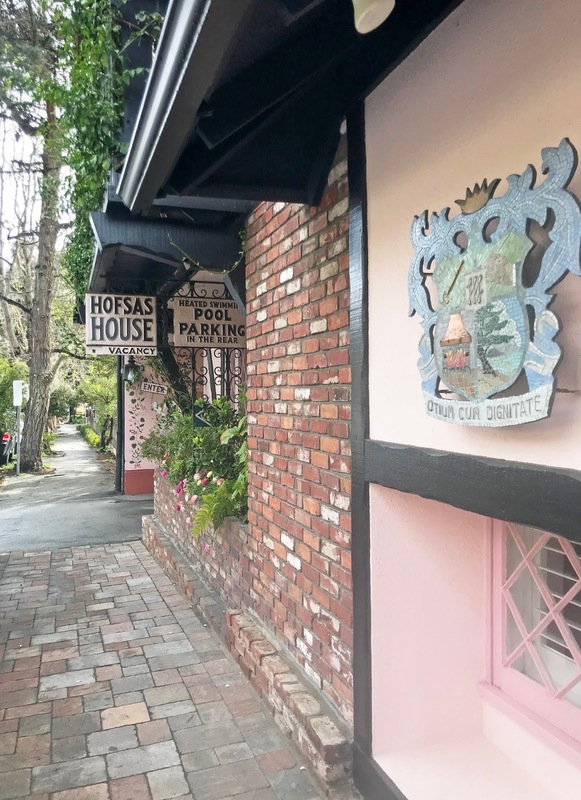 Hofsas House is a family-oriented boutique hotel that has been around for more than 60 years. 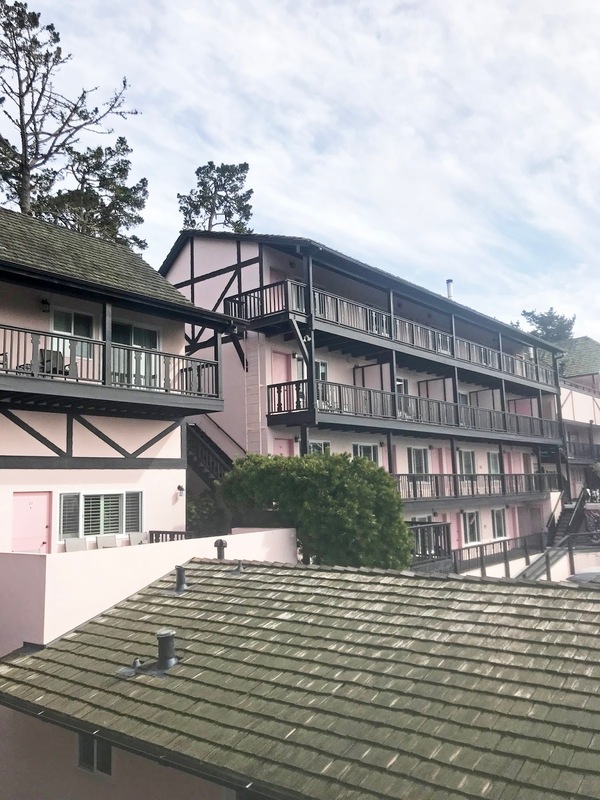 Bavarian inspired, each of the 38 rooms is uniquely and traditionally decorated, offering guests with very spacious rooms and great views of the ocean and pine trees. 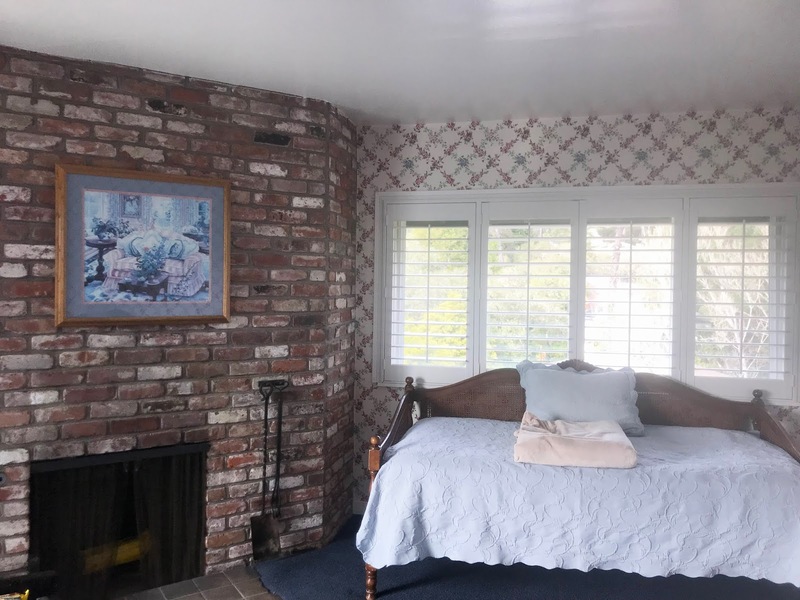 It's located in the heart of Carmel-by-the-Sea, walking distance to the downtown area which offered many shops, restaurants, and wineries. Hofsas House offers guests with a heated outdoor swimming pool, deck area, and two dry saunas. They also offer guests free wireless Internet access - and are a dog-friendly hotel. I don't have a dog, but if you are looking for a dog-friendly hotel - Hofsas is your spot! 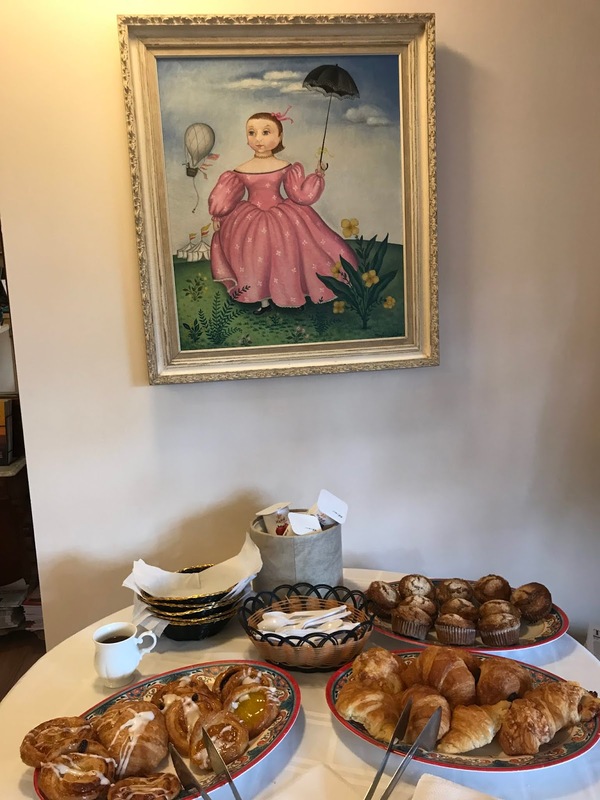 Every morning at Hofsas House you can enjoy complimentary breakfast with a selection of croissants and pastries from a local bakery, as well as yogurts, apples, and bananas. You can also grab yourself a cup of fresh orange juice, tea, and French roast coffee (which was extremely delicious!) every morning from 8 AM to 10 AM in the lobby area. 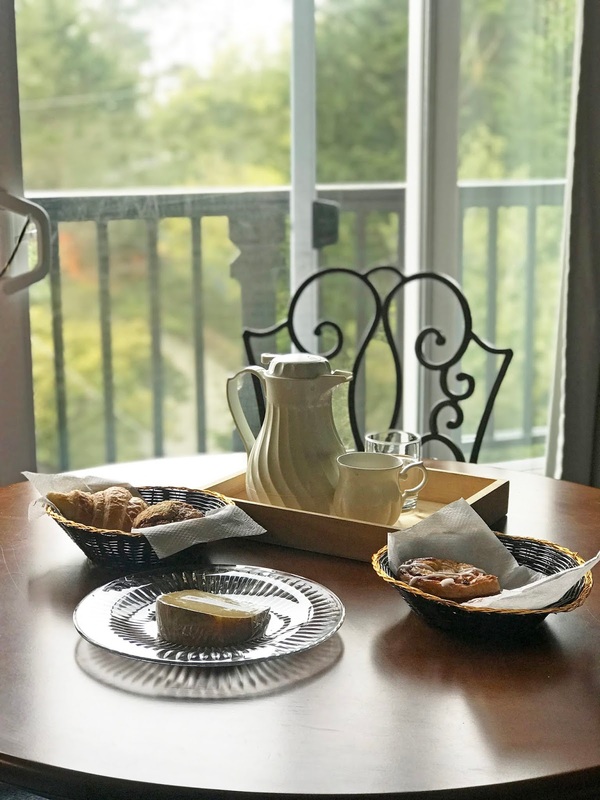 They offer mini baskets for you to take your breakfast to your room if you wish to enjoy it there. What really stood out to me the most was the warm atmosphere; the staff was very personable, easy going and caring. We even had a chance to meet Carrie, the Owner, whom she had taken the time to meet us and suggest ideas for us to do that day. Lauren and I were in for a fun-filled day - the team over at Chatterbox PR and Hofsas owner, Carrie Theis, were super sweet to set us up an itinerary of things to do throughout our stay - from amazing ocean views to wineries, food and art - this charming and special European-style town has a lot to offer. So what are we waiting for? 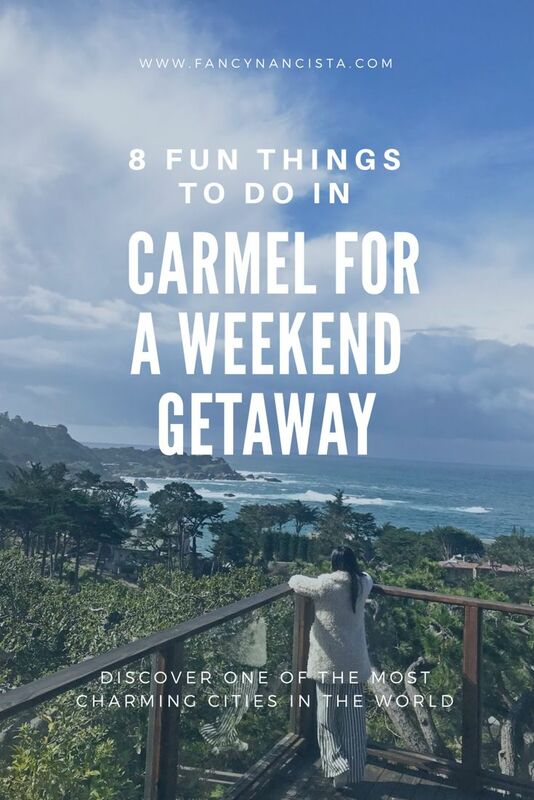 Come with me today, as I take you on a tour of 8 things to do in Carmel this weekend with this itinerary below. Start your day with yummy breakfast at Hofsas then head back to your room and get ready for a busy day ahead! 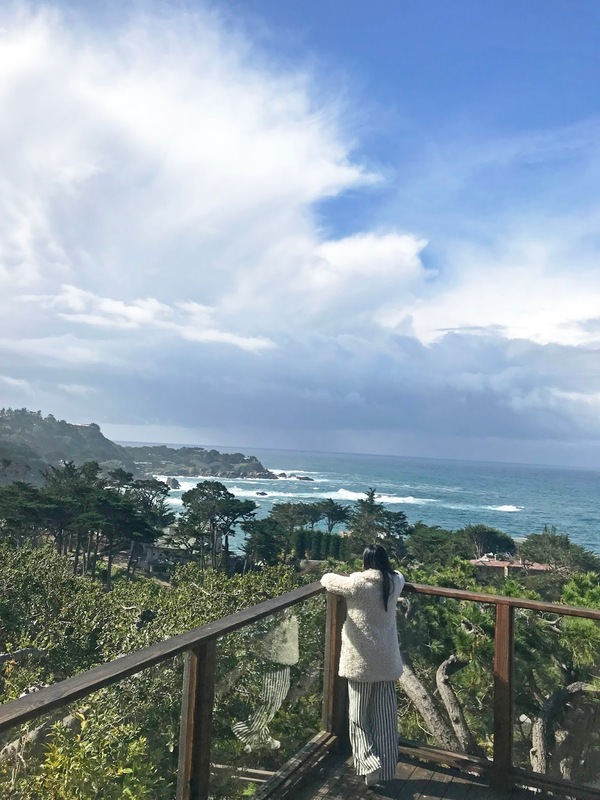 Rain or shine; if you want to enjoy beautiful and scenic views, this attraction is a must-do while visiting Carmel. 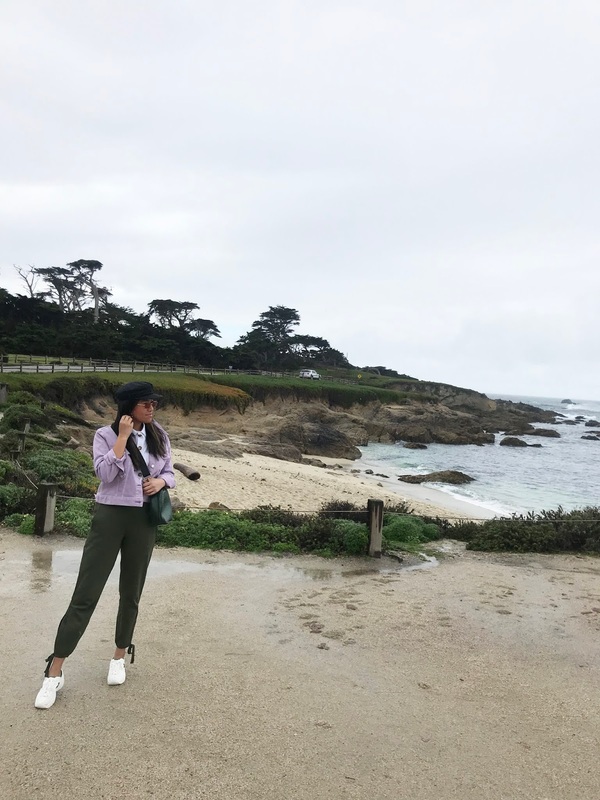 During the 17 mile drive, you'll come across mystical forests, iconic golf courses, and snow-white beaches. 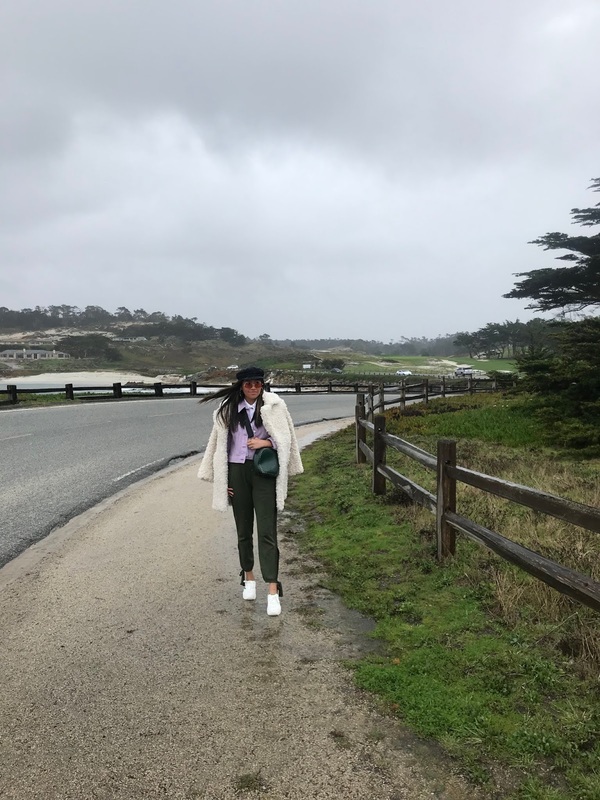 The drive is very peaceful and relaxing and though it was very windy and rainy when we visited, we managed to still get some Insta-worthy shots. There is admission at the gate - $10.50 per vehicle cash only. Bikers and walkers may enter for free. 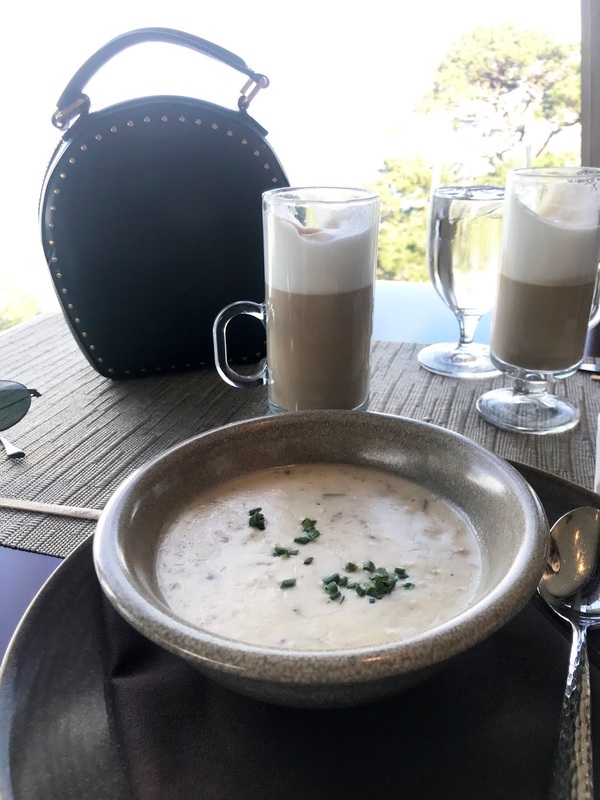 If you purchase $35 or more at all Pebble Beach Resorts restaurants, excluding Pebble Beach Market, they reimburse your gate fee. Get more information here. 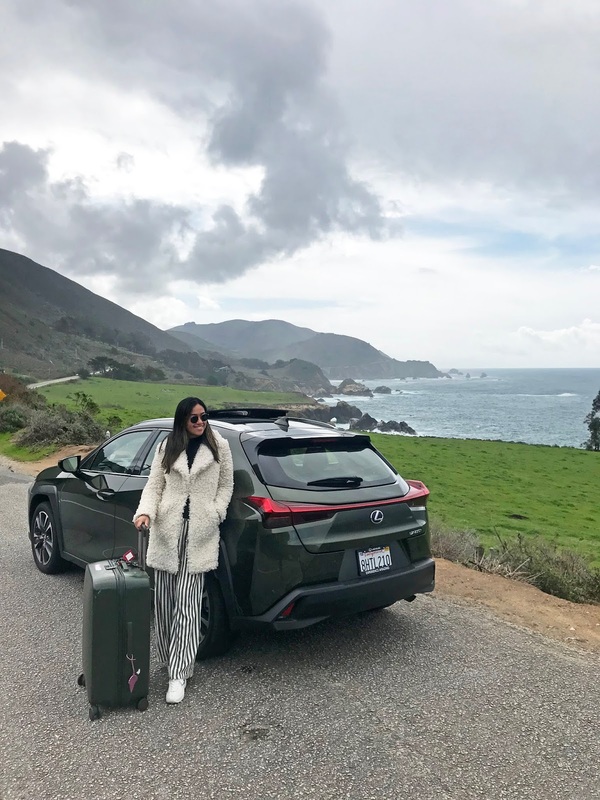 The 17-mile drive gates are open to the public from sunrise to sunset. Motorcycles are prohibited. -If you are a fashion blogger, definitely come ready to take advantage of the various spots you can shoot some outfits. -Bring comfy shoes in case you want to take a stroll down the forest and enjoy the views. -If you want to stay for a bit, I recommend you bring some food and/or drinks for a mini picnic by the beach or park! Feeling hungry? 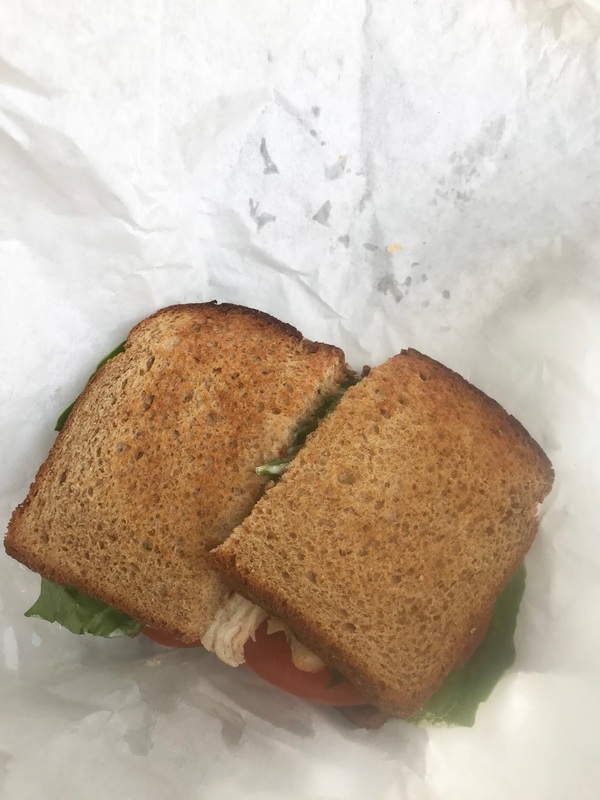 Next stop: 5th Avenue Deli! This spot is a true neighborhood gem. 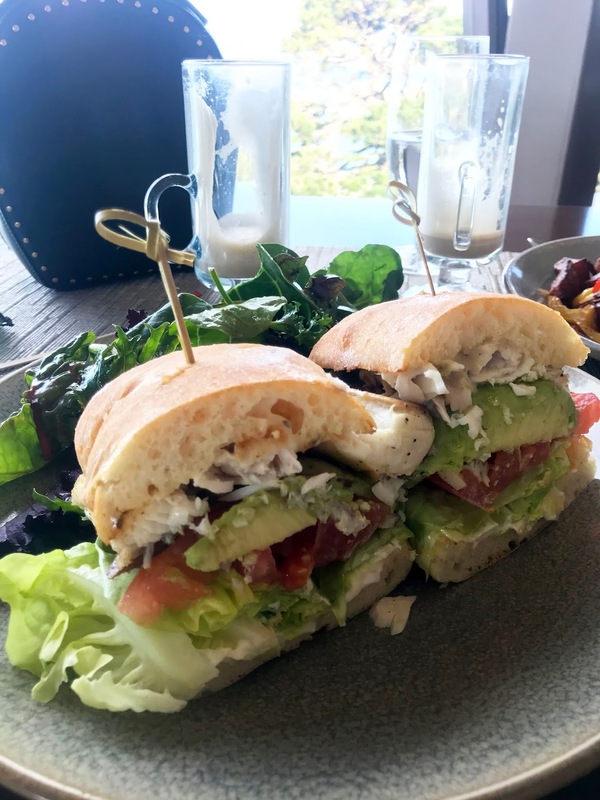 Order from a selection of soups, salads, and sandwiches - that will surely hit the spot! Just an FYI, they don't have seats inside or outside, so plan to order and take it to go. After a yummy lunch, it's time to take a nice stroll around the cutest little downtown area Carmel has to offer. Browse through a variety of shops from luxurious designer brands to one-of-a-kind boutique shops, there is plenty to see. 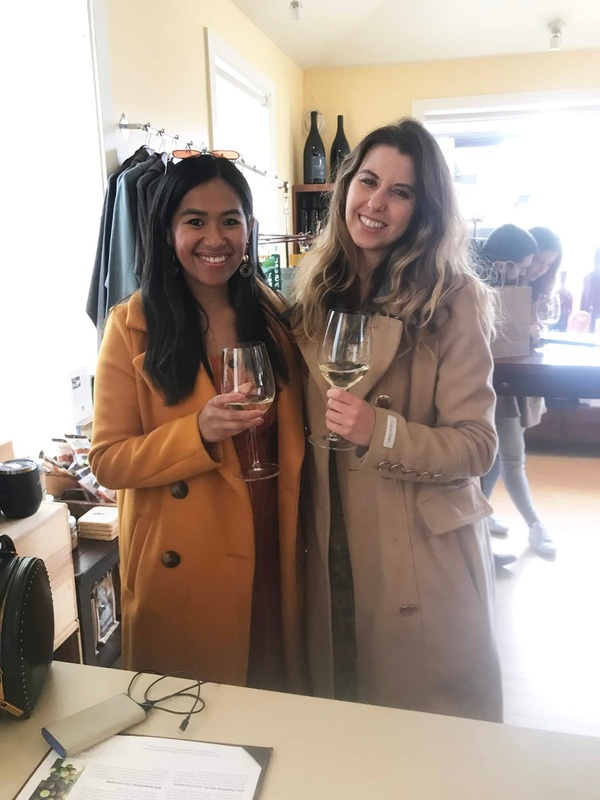 Once you've wandered the streets of downtown Carmel, it's time to take a pit stop and indulge in some of Carmel's wine tasting rooms. The ones we visited were Blair Wines and Scheid Vineyards. Both had a great selection of wines; I will say if you want to head to a more quieter winery, Blair Wines is your spot. 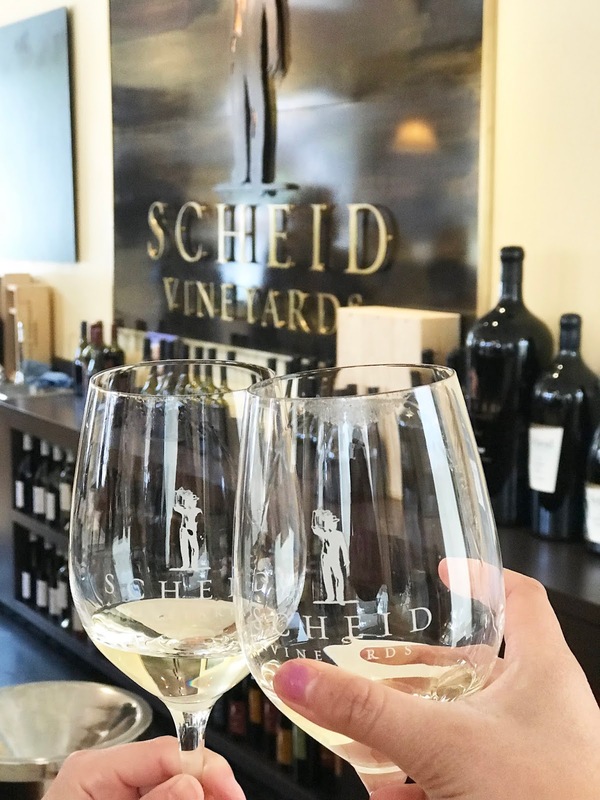 But if you want to go with a bunch of friends and have a livelier atmosphere, head to Scheid Vineyards. Did you know Carmel is a city known for their art scene? When you walk around downtown Carmel, you'll stumble upon many art galleries along the way. 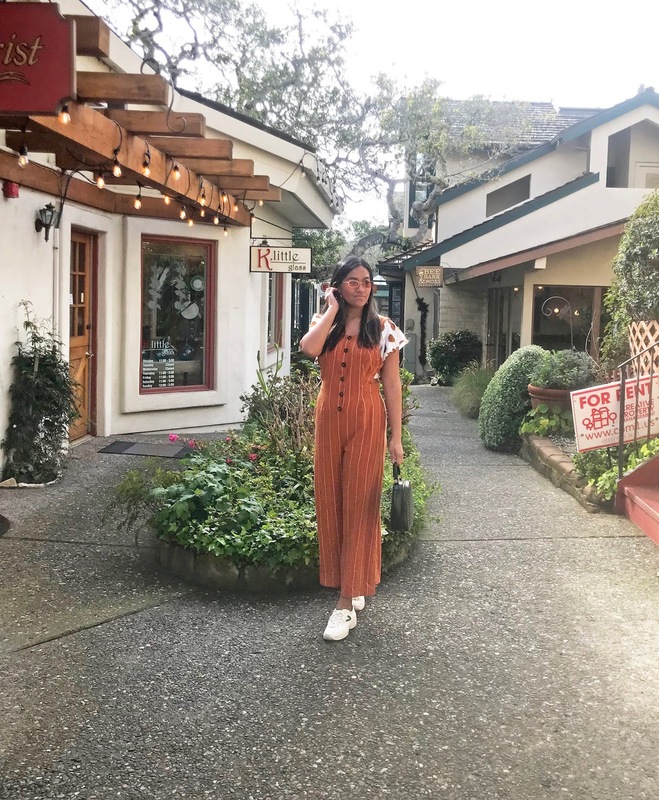 If you happen to visit Carmel the second weekend of the month (which in our case we did), the city holds an event called Carmel Art Walk, where various art galleries take part in from 5-8. This is a really cool event they do every second Saturday of the month because you have the opportunity to actually meet the artists firsthand and/or enjoy the art while mingling with friends. Fondue - aka Fun-do! What's better than ending the day with traditional, heart-warming cuisine? 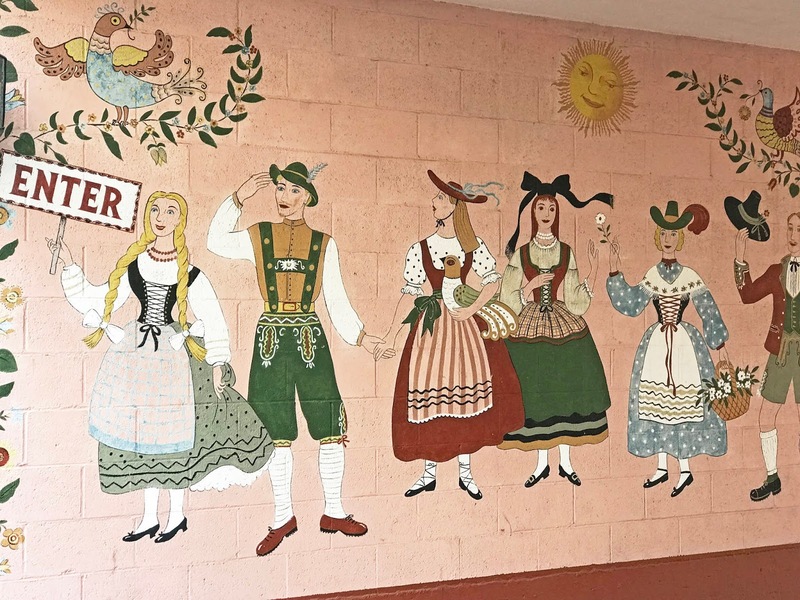 After a long day of activities, Lauren and I were excited to head on over and have some fondue fun at Lugano's Swiss Bistro located in the Barnyard Shopping Center. 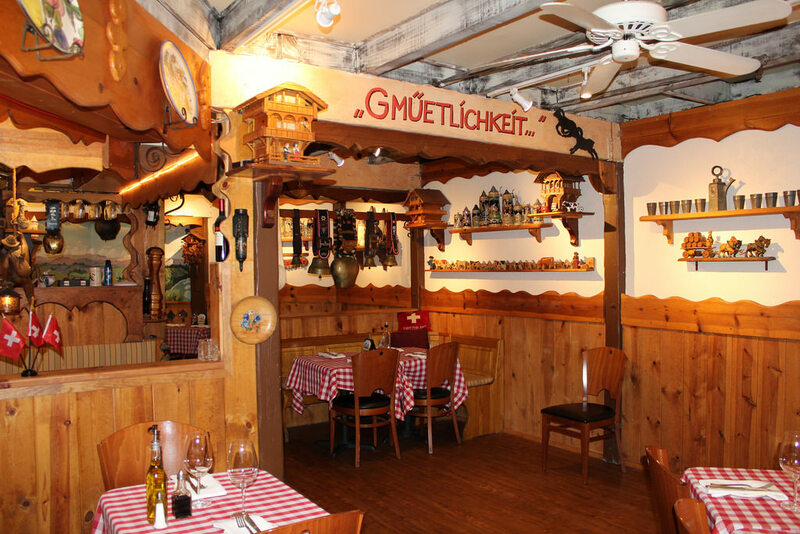 This restaurant was another neighborhood gem, known to serve the best traditional Swiss, German, and French cuisine. Walking into this restaurant you instantly feel right at home, with the cozy interior and wood-paneled walls. Lugano's offers a great menu selection, but since we were there we had to try their fondue. 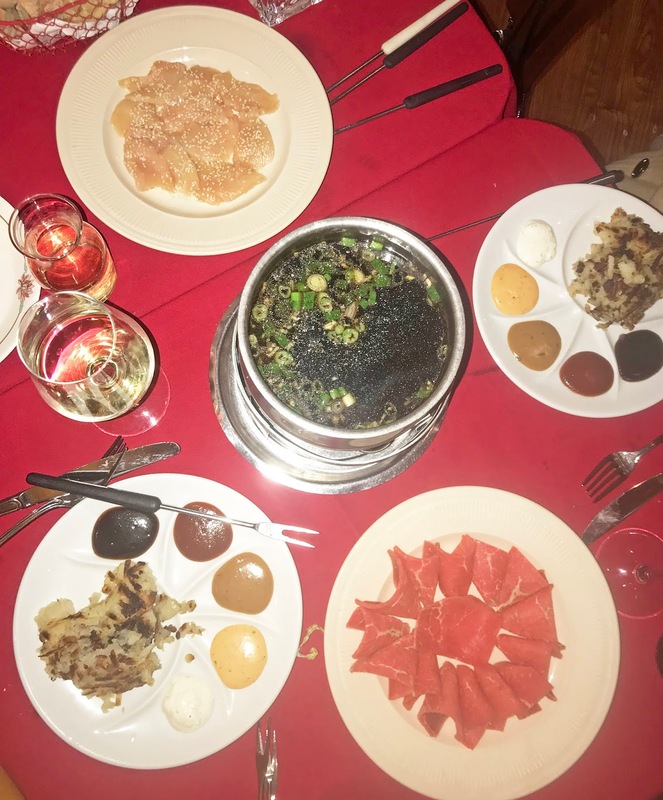 We opted for their Four Course Fondue Sampler which included a Romaine Salad, Swiss Cheese Fondue, a combo of Chicken and Beef Fondue, and Swiss Chocolate Fondue at a price of $36.95 per person (2 person minimum). If you wish for something lighter, you can check the menu here. After that course meal, I can say our stomachs left leaving happy and were ready to head home. Off to bed, we go! 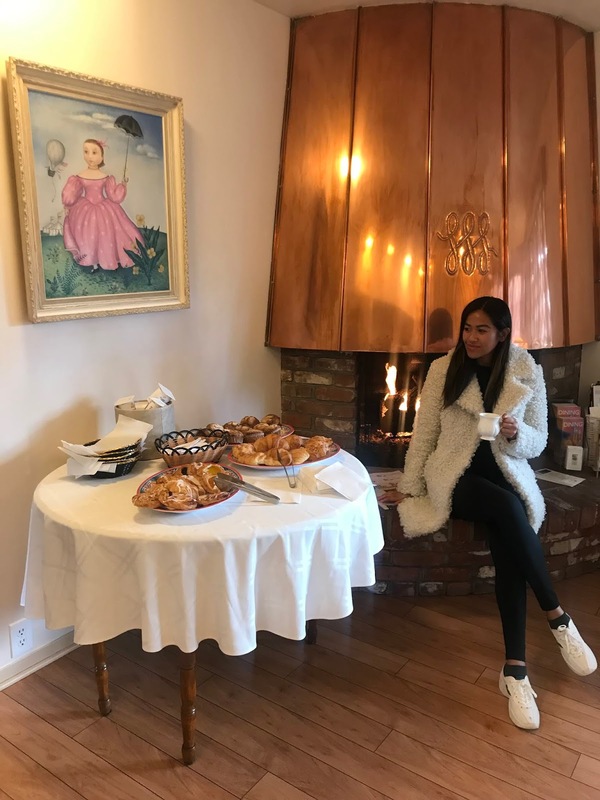 It was our last day in Carmel - so before breakfast, we popped in the Hofsas lobby to grab some pastries (and coffee of course!) for snacks on-the-go. 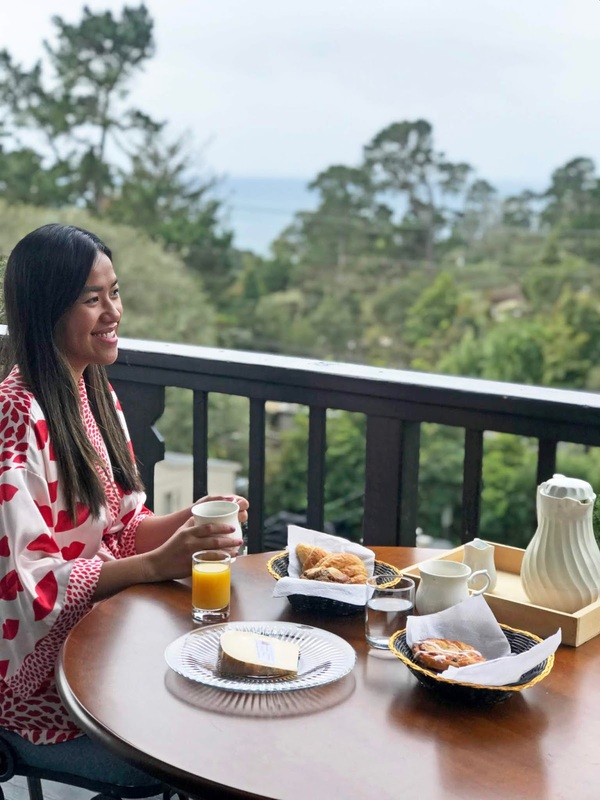 If you're looking for a scenic view for breakfast, I highly recommend the California Market at Hyatt Carmel Highlands - it offers stunning views of historic Point Lobos State Reserve, not to mention, the food was amazing! It's a bit on the pricier side but trust me, it's money worth spent! They are also opened for lunch and dinner. We lucked out and on our last day, there was no rain! 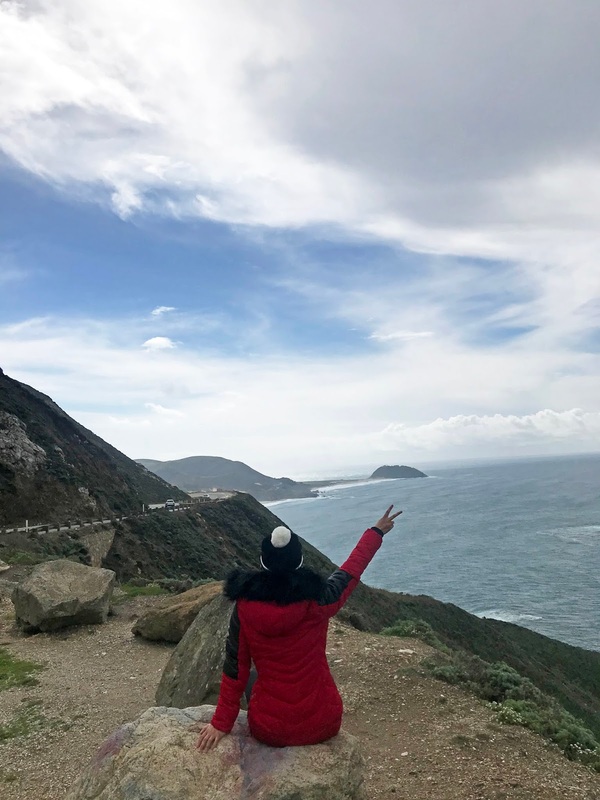 So we took advantage of driving down through Big Sur - and taking in all the views before we had to head back home. Of course, making a few stops along the way to soak it all in and take some snaps is a must! 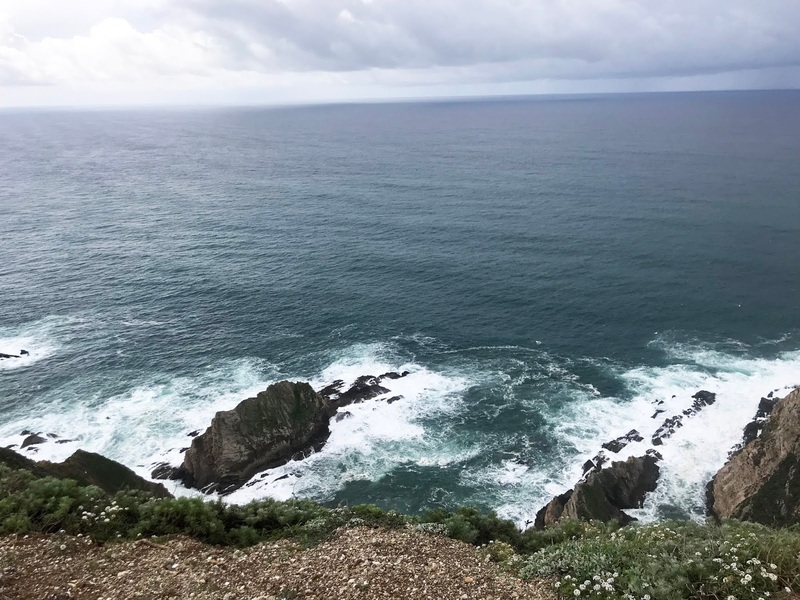 Note: It is a beautiful drive but it also has very narrow and windy roads, with little to no service available, so if you decide to take this route, be careful! 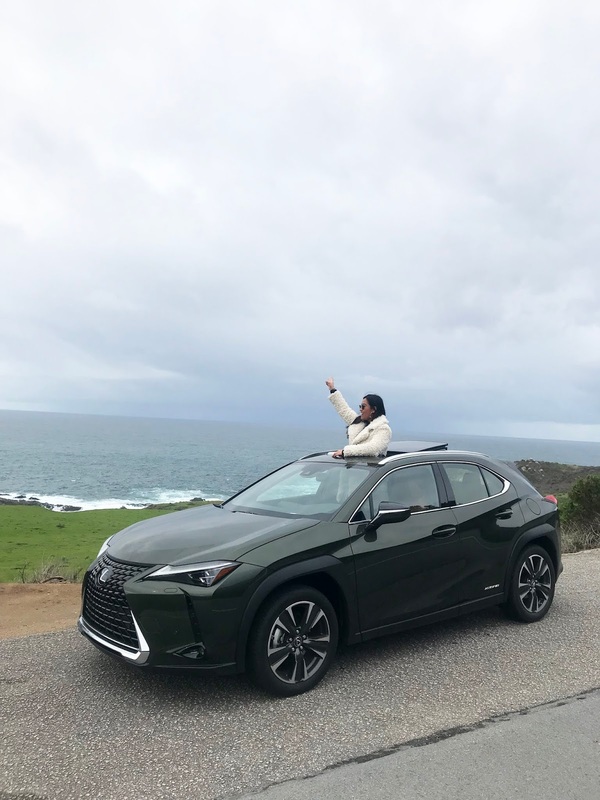 check out the latest lexus UX here - safe and smooth driving // perfect car for road trips! 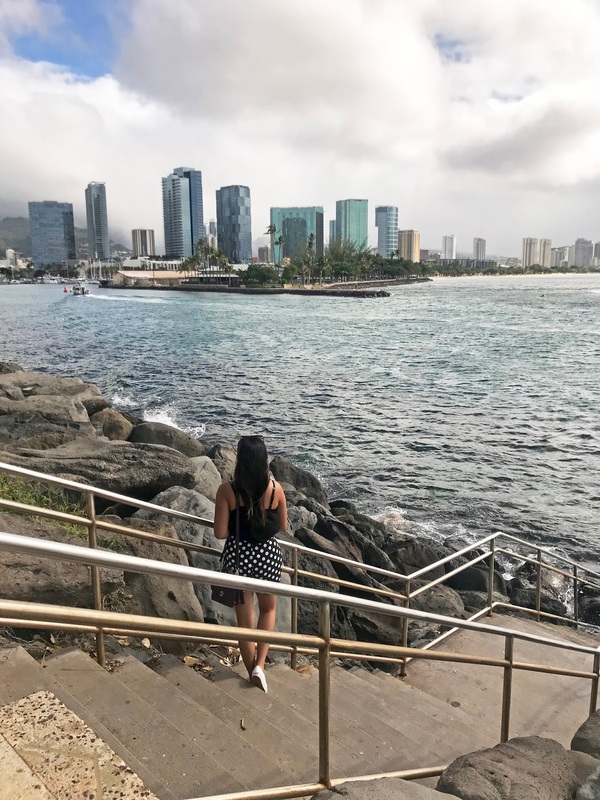 Overall, we had such a fun-filled weekend and this charming city is definitely one to add to your travel bucket list! With gorgeous, stunning views all year round and very quaint hospitality, this city will remain a very special city to me. 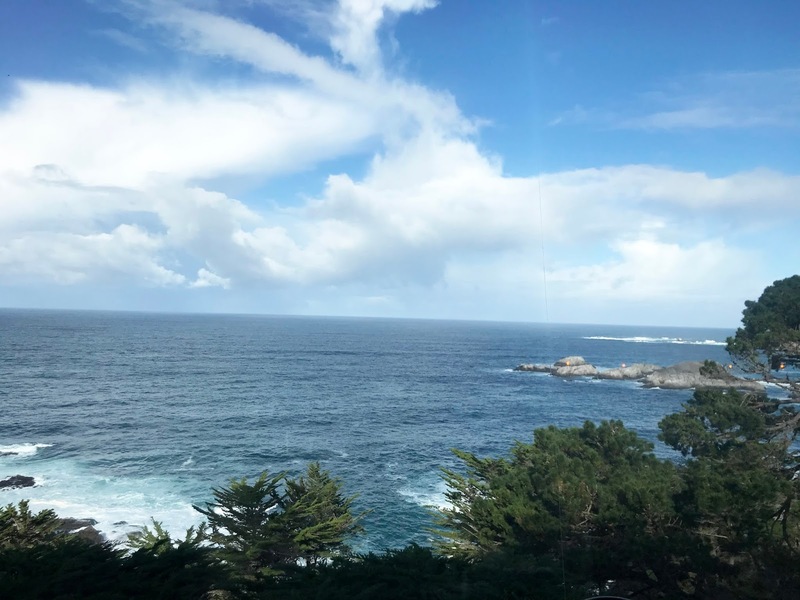 Looking to visit Carmel soon? Book your stay at Hofsas House Hotel here. Thanks to the team over at Chatterbox and Carrie for taking great care of us and setting up a day-to-day itinerary! As always, my opinions are my own.